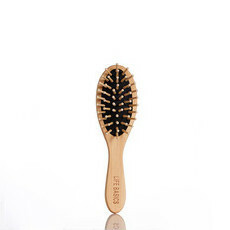 The Life Basics Hair Brush in the large size is made from natural bamboo, which is one of the world's most sustainable materials. 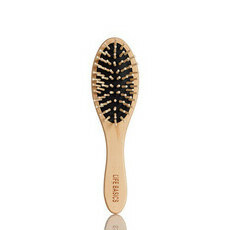 The paddle brush design makes brushing thick and curly hair a breeze. 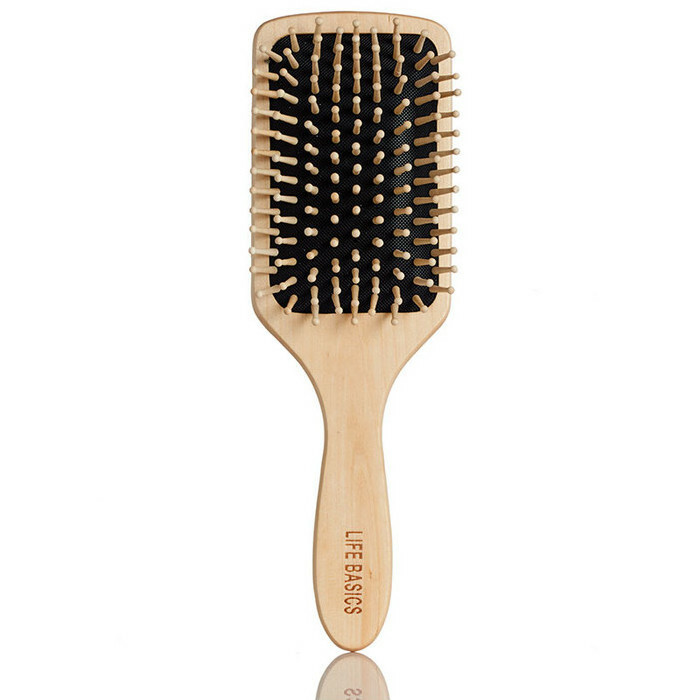 The bamboo bristles glide through the hair which makes strand breakage and pulling a thing of the past. 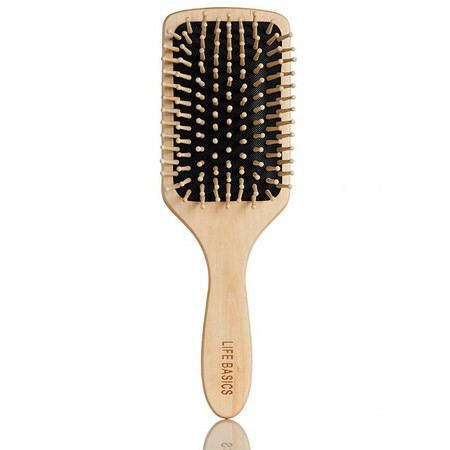 Each bristle has a smooth head, and gently massages the scalp. 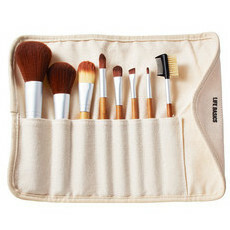 This brush is made from bamboo, which feels light and is very durable. Bamboo is 100% biodegradable, so when you feel it is time to buy a new brush, it can be disposed of sustainably. Many mainstream hair brushes are made of plastic, so this is a great alternative for anyone looking to minimise the amount of plastic they use. Brush head size is 12 x 8cm. I’ve had this brush for a year and loved it. 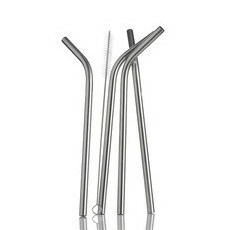 However recently the rubber pad with all the bristles popped out of the handle. I tried putting it back in but it continued to pop out every time I tried to use it, making the brush useless. I would have expected an eco friendly brush to last much longer - I feel guilty having to throw it away after just a year. It was great while it lasted. I use he medium brush every day. I use this one when blow drying. Love these brushes! It hurt my scalp a bit.